At this point, I think we all have experimented with email marketing, and some of us swear and live by it. Email marketing is an asset to any business employing this as part of their overall marketing strategy. In fact, let’s start this off with a not so little statistic. Um, hello? 40x is not a small number. I am certainly NOT discrediting Facebook or Twitter because we actually generate quite a few leads from those platforms, but I do want to emphasize that for most businesses, email is a significant lead generation tool. These statistics indicate that companies are actively looking for ways to improve their marketing efforts and overall customer experiences. Unlike traditional email, marketing automation allows you to employ what marketers like to call lifecycle marketing. This means that the right content is sent to the right person at the right time during their buying process. Messages are personalized and only deliver the most appropriate information for that stage in the sales process. It also allows you to send customized offers and other content based on their particular demographics and behaviors. Marketing automation also allows you to efficiently and effectively bring other channels into the mix such as social media, online live chat, events, and more, while streamlining and improving your sales and marketing processes. Not to mention, it gives you great visibility into how all of your channels and efforts are converting your leads into clients and inspiring engagement. To put simply, marketing automation maximizes your performance while minimizing your effort. Sounds great, right? So, how does one successfully transition from email to marketing automation? Am I getting a ton of spam complaints or unsubscribes? If yes, you need marketing automation. Are your open/read rates really low? If yes, you need marketing automation. Is engagement overall really low? If yes, you need marketing automation. Are you having trouble converting leads and pleasing customers? If yes, you need marketing automation. Do you not have enough information about your leads and customers? If yes, you need CRM and marketing automation. Do you understand the kind of content that resonates with your leads and customers? If no, you need marketing automation. Another key reason to implement marketing automation? It significantly improves collaboration on your team resulting in happier employees and ultimately a better customer experience. Now, let’s talk about the transition. Plan. This will be the first stage of your transition. You have to create some sort of roadmap and strategy. What are your overall goals with marketing automation? Write down exactly what you want to accomplish. This can be both for the customer experience and your internal business process. Think data. Understand who your customers are, what they want, and where they are in your funnel. Marketing automation gives you all sorts of information you can use to personalize their experience. 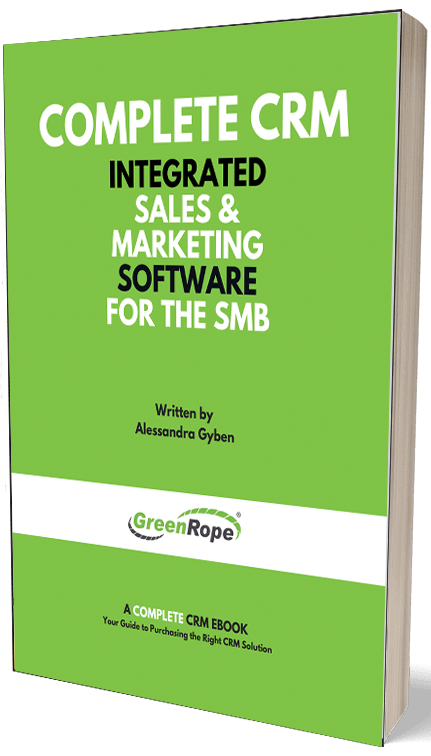 A CRM and integrated marketing automation platform will not only collect and manage this data, but also use this data for your benefit. Start small. Once you have outlined your goals, determine which has the highest priority and start there. You never want to jump in with marketing automation full throttle, especially if this is your first rodeo. Add automation to the contact form on your website. If you are collecting leads or inquiries through your site, you can automate the follow up emails they receive. Send them an automatic Thank You email or trigger an email from your sales team. If gated content is part of your strategy (I recommend it), then you can easily automate the process once they have requested to access your content. For example, once they confirm they want to receive your emails, automate all of the emails that they receive post download, and, if you want to go a step further, customize the emails and paths they take once they open or click on your emails. www.Journeyflow.com is a great place to get started with this. eCommerce is another great place to automate your process. After the purchase is made, automate the thank you and follow-ups. You can also easily send them personalized offers by tracking what they purchased and when. Making the switch from email to marketing automation might seem like a big step, and it is. But, it is a critical step that will take your business to the next level, not to mention free up your time and ultimately save you money. Don’t let marketing automation intimidate you, though. Strategize, start small, and collaborate.